Welcome to my retirement page. On this page you’ll find information, stories and essays from others who achieved financial independence and security. Read on and learn from them – how you can tailor your own retirement success story from their lessons learned. I know with a great deal of confidence with a $1 M personal portfolio (beyond workplace pensions, beyond Canada Pension Plan, beyond Old Age Security) and no debt – we will be able to at least semi-retire the way we want in our 50s. However, even if I have no idea about your financial goals, spending patterns, or estate plans, I can offer some guidance thanks to various online calculators and other knowledge I’ve acquired over the years. Read on. $1 million invested in a diversified portfolio at age 60 could easily last 30-40 years withdrawing about $40,000-$50,000 per year (pre-tax) from your portfolio. If you have $1 million saved/invested by age 60 (and no debt) then I think you have very little to worry about in retirement unless you’re a big spender. Here is an article about our desired Crossover Point. 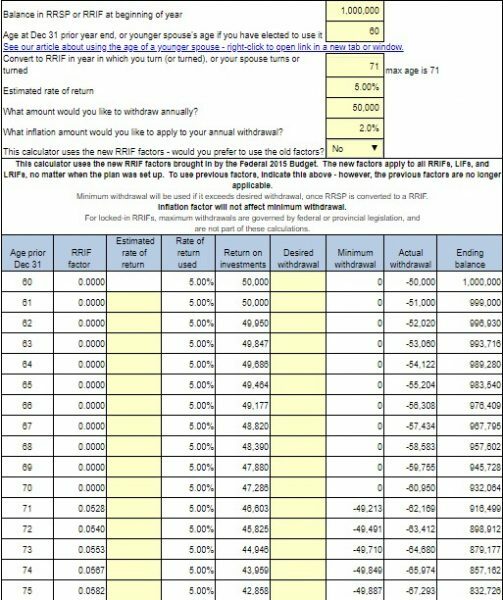 Take $750,000 invested, age 60: you’ll be able to withdraw $40,000 per year (pre-tax) from your RRSP or RRIF lasting until age 90 with a 5% return. That excludes CPP and OAS payments. You can play with this calculator here. 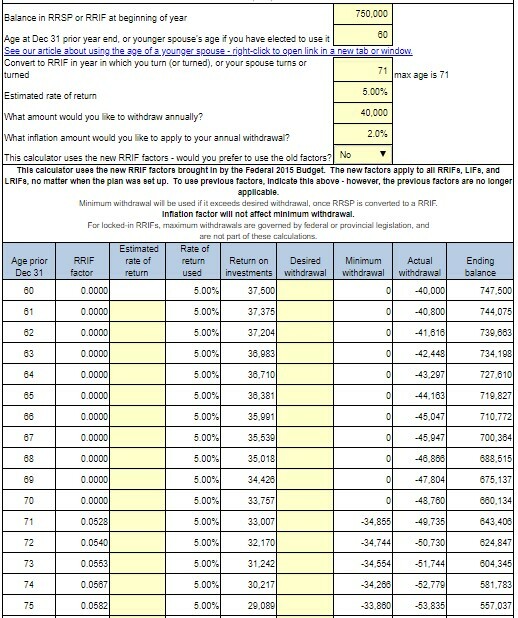 If you have $500,000 in your RRSP by age 60: that’s $30,000 per year (pre-tax) until age 82 with a 5% return. Again, that excludes CPP and OAS payments. 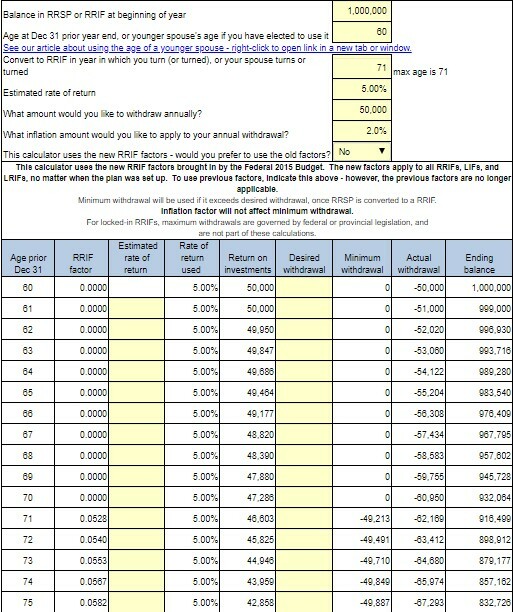 My other favourite calculator is here – Variable Percentage Withdrawal (VPW). Want to read about successful investors that have been there, done that? Of course you do! Read on to learn from these retirement essays for your plan! Beneficiaries – Don’t Forget the Fine Print!